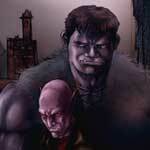 World Famous Comics Frankenstein Mobster Made Man Art Contest! 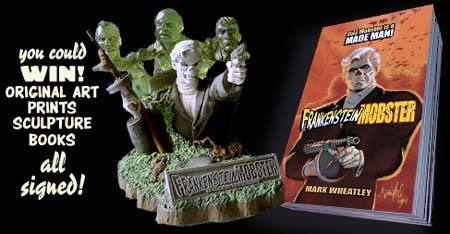 To commemorate the publication of Mark Wheatley's massive new Frankenstein Mobster Made Man graphic novel and the release of the new Frankenstein Mobster sculpture by Shawn Nagle, we had this art contest! 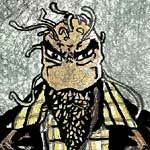 Since the Frankenstein Mobster was built from available spare parts, he is really just a patchwork man, we wanted our contestants to use spare parts from ANY characters from the Frankenstein Mobster comic book series and illustrate for us their own made man (or woman)! 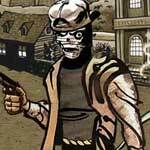 To view some Frankenstein Mobster characters, click here! All we can say is, WOW! 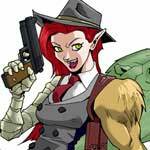 A great made woman using parts of other characters from the Frankenstein Mobster comic books! Congrats on winning 1st Place! 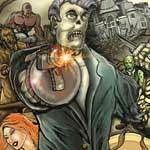 Edward wins an original Frankenstein Mobster comic art page, a color signed print of the page, a signed copy of the Made Man book and a Frankenstein Mobster bust, signed by Mark Wheatley and the sculptor Shawn Nagle. Tommy and Ryan each get a color signed and remarked print of the Made Man cover painting and a signed copy of the Made Man book. Sean, Sao and Graham each get a signed copy of the Made Man book. While not exactly fitting our rules, this entry still deserves recognition for such a nice effort! Garrie also get a signed copy of the Made Man book. 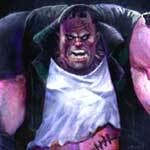 Talk about this contest and hang out with Frankenstein Mobster creator Mark Wheatley at the Insight Studios Message Board! Want to link to this page? Feel free to use this banner! 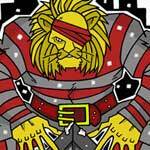 World Famous Comics is the sole owner of information collected from this contest. World Famous Comics will not sell, share or rent this information with possible exception to the winner(s) of this contest, who's postal address(es) will be shared with the company issuing the prize(s) for the purpose of shipping and distributing the item(s) won.